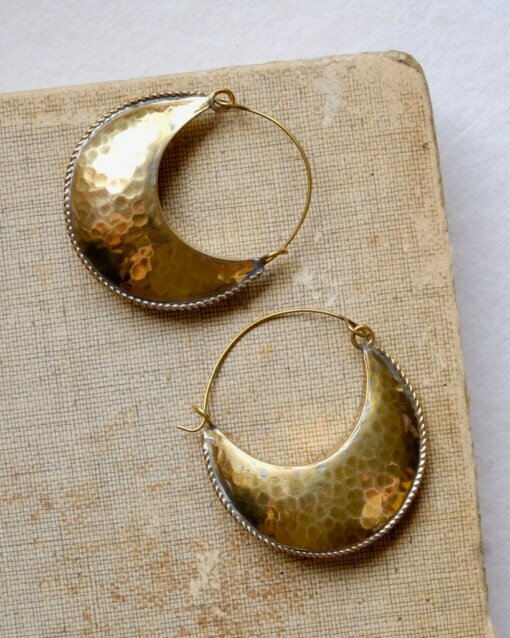 Striking crescent-shaped brass hoop earrings with hammered effect. 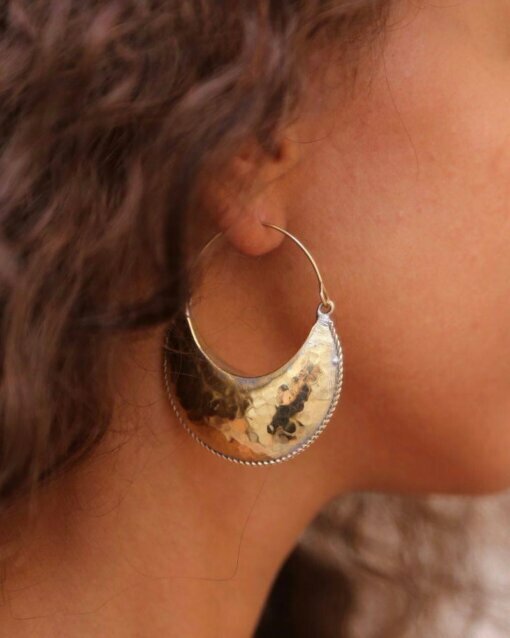 Hamimi Berber inspired Enhass Brass Jewellery collection is handcrafted the traditional artisan way in a small workshop in the heart of Marrakech. •Supplied in a signature Hamimi leather detailed pouch with a watercolour product card.